Casey Palmer, Canadian Dad — Helping Youth with Hull Services and #RBCAmes! What would you do if someone gave you the resources to make a difference? Some would try to cure diseases, some would focus on developing countries, or perhaps donate it to a favourite cause. 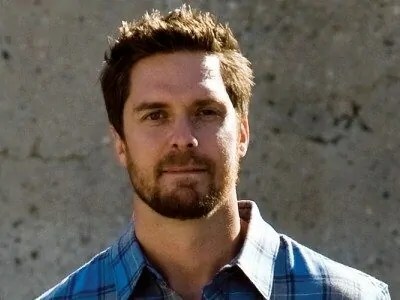 In the case of Trevor Morgan, Vice President of New Line Skateparks, it’s giving the youth of Calgary, Alberta an outlet and safe place that can give them the positive influences they need for their futures. The Matthew Banister Memorial Skatepark is Trevor’s way to help youth avoid the fate that befell his friend. It’s been some time since October 22, 2007, when Trevor’s friend Matt Banister died from a drug overdose, but the feeling of loss is no less diminished, a driving force behind building the skatepark on the Hull Services campus — an organization providing behavioural and mental health services for kids and families. In the midst of Hull Services’ client demographic are youth encountering issues stemming from abuse and addictions, both of which can lead one down some very dark paths. If their environment doesn’t have support and positive encouragement in them, these youths may fall through the cracks of a society that simply writes them off, ignoring the potential and promise they’d hold if there were more vested in their development. So Trevor strives to build this skatepark not just to fulfill the need for focused physical recreation and activity in a place where at-risk youth are already being served, but also with the hope that what happened to his friend never happens to anyone else. But skateparks and physical outlets don’t come cheap — there’re costs associated with labour, materials, permits and more, and despite whatever Kendrick Lamar says, money most definitely does not grow on trees. Fortunately, there’s a way you can help with this, and you don’t even have to spend a dime — in fact, you can do it in 140 characters or less! Through Twitter, you can tweet the #RBCAmes hashtag up to 25 times per day to add to the Hull Services tally of votes. Retweets and mentions count, so make sure to get that engagement going! If you’re more visually inclined, you can also include the #RBCAmes hashtag when you’re Instagramming, which will also count for a vote! 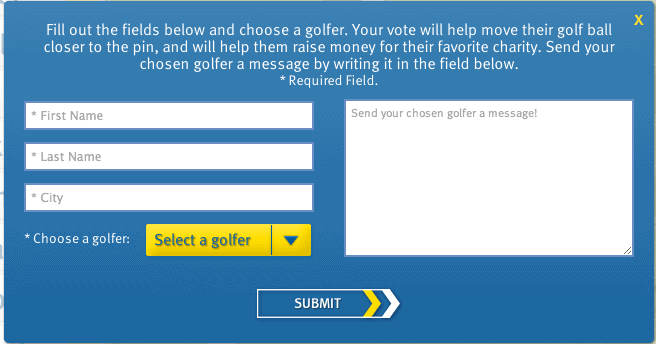 You can even vote for #RBCAmes on the #RBCGolf4Kids website by filling out a simple form — and if you’re not social media savvy, there’s even a box where you can write a message to your favourite golfer! So what’re you waiting for? With little more than a few button clicks, you can help make Trevor’s dream a reality, providing additional services and opportunities to some youth who’ll benefit from it. Invest in today’s youth, for you never know what they’ll be capable of tomorrow! Disclaimer: While Trevor’s part of the West side of my family, this is a great initiative and I support it 100%. It’s a cool way to help others and I hope to see them cross the finish line victorious!